Meandered about Yuma County from sunup to sundown on New Year’s Day, and wound up with 95 species. The complete list is below. 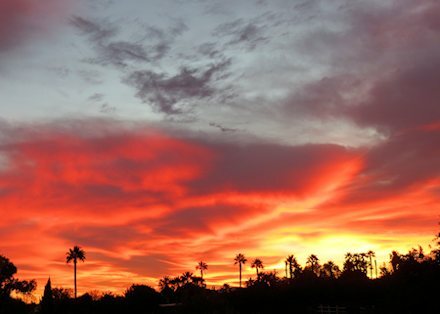 Started off with a gorgeous sunrise at the Yuma West Wetlands. The usuals were all present, and a Common Merganser flying along the river was a treat. 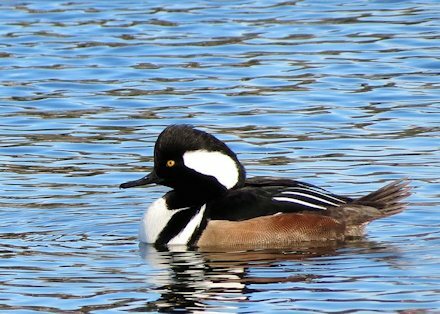 At Cocopah RV Resort 22 Hooded Mergansers swimming in one of the golf course ponds was a sight to see. A Herring Gull at the sewage treatment pond was the first “rare” bird of the year. 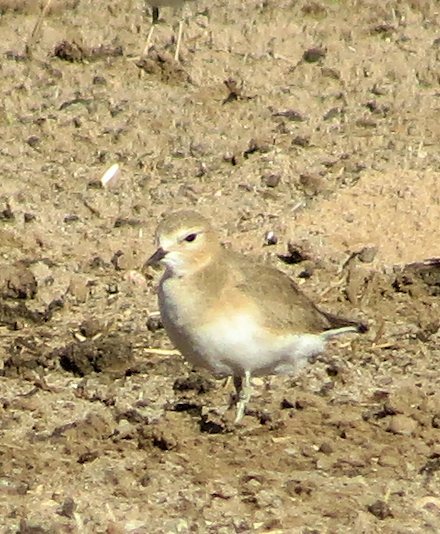 In addition, I re-located 4 Mountain Plover in the same field as Al and I saw on Saturday. The Wellton area was quiet in the “heat” of the day except for the sleeping Barn Owl at Green Acres RV Resort. In the cottonwood stand at Quigley was a male Red-naped Sapsucker, and a couple miles east of there a single Le Conte’s Thasher popped up when I called to him. 8 Sandhill Cranes were on Co 2nd Street close to 50th Ave, and a mile beyond that I had a Swamp Sparrow at Growler Pond. This was an especially nice surprise, since the pond is drying out and the only ducks were Green-winged Teal. The final new birds for the year were at Coyote Wash, across the interstate from Wellton. The White-fronted Goose found by Paul Lehman several years ago continues in the company of domestic brethren, a Canada Goose, Northern Shovelers, American Wigeons, Gadwalls, and hordes of coots. Happy New Year & Good birding!